Profitability and productivity are and will remain the core challenges of any company. 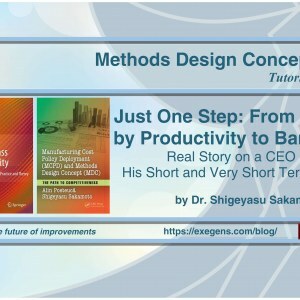 In this context, some questions arise: What methodology can be used to design a working method at the shop floor level? How to set a goal for designing the future work method? What is the role of industrial engineering? How do people really get involved in getting an effective and efficient design of the future work method? 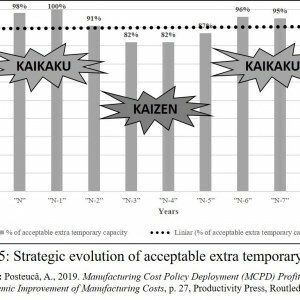 In order to achieve real and consistent profitability and productivity over time, the MDC methodology is beyond the current approaches to improvements such as: small group activity, MUDA KAIZEN, MUDA HERASHI. 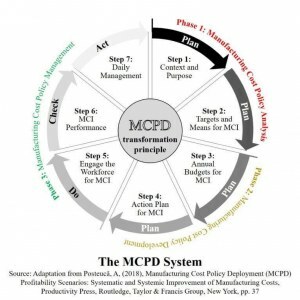 So, MDC is a totally different approach to KAIZEN and/ or work simplification. 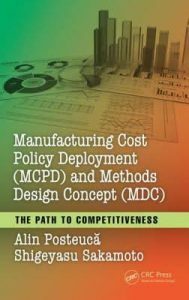 These widely used approaches are based in particular on participatory management rather than on how industrial engineering approaches to finding and developing winning solutions. 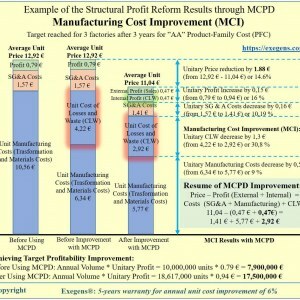 Therefore, MDC implementation results show unique improvement results which are clearly different compared to other improvement methodologies. Can you imagine effective corporative level results on productivity and ROI? The MDC methodology itself is not a methodology to find unique improvement ideas, but it leads and stimulates to find innovative/ unique improvement ideas through MDC methodology step by step. There are unlimited improvement ideas that are missed without recognition by management, industrial engineers, and any other people who are interested in productivity and profitability improvement. 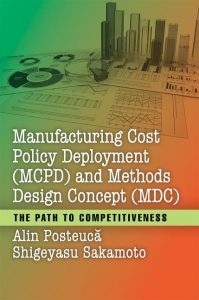 So, MDC can be described as a methodology whose unique improvements are embodied rather than random searching of improvement ideas. 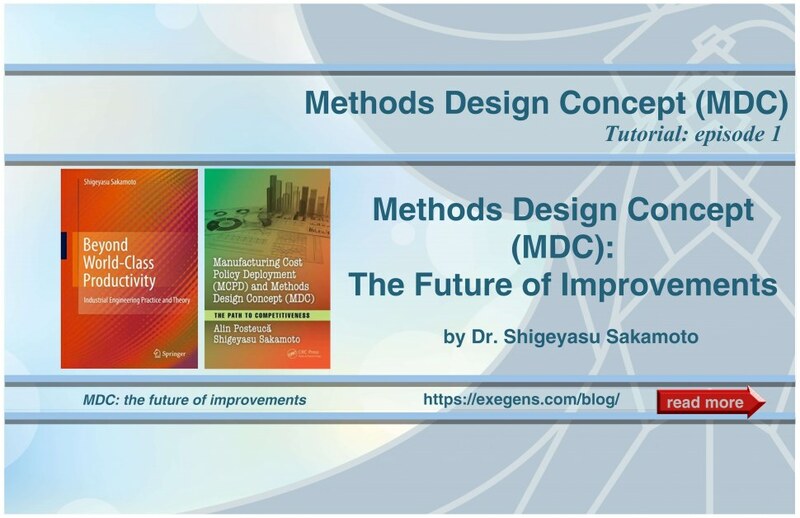 MDC is a methodology that works to support actively and find concrete improvement ideas rather than just simply saying improved comparing to present practices. Why cheap expenses can be lead? MDC activity starts from blank sheet condition of objectives, MDC never do starts from present methods themselves. This is a quite important point of MDC success story. Any deep study of present methods are not able to find innovative results because present methods themselves are not challenging objects. A key point is interesting to Function of present work contents, a function leads new methods to satisfy the Function. MDC calls it BF, basic function and auxiliary work contents are AF, auxiliary function. The share of two functions in present working methods are normally 20 ~ 30% and 80~70% for BF and AF. To support finding new methods ideas, MDC steps set improvement target as KAIZENSHIRO. This aims a possible improvement through BS, brain storming. Its value can set as one of MDC steps. MDC is the approach for working methods change, MDC approach of design point of view as like a base of any engineering approaches. You are recommended to change running truck of working methods if you feel discontent so far. MDC has well organized steps to developing step by step engineering approach, leading you to automatically unbelievable improvement results. MDC contents/ steps are extremely orthodox, no question about difficulties of implementing for success. 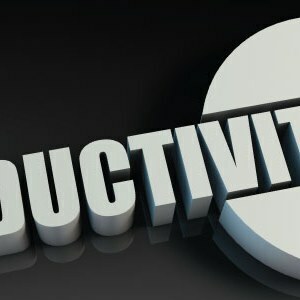 Anybody can do it successfully for productivity and profitability improvement. 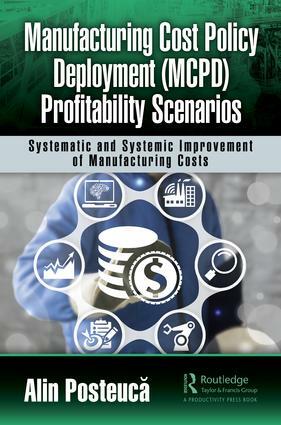 According to companies who adopted MDC for their productivity improvement, for 300 ~ 500% improvement is required small amount of money which means not capital investment; this means the improvements do not rely on large scale of hardware change such as capital investment. This leads to ROI improvement as well. For example, HB Co. marked 732% of ROI, return on investment and 510% on labor productivity. 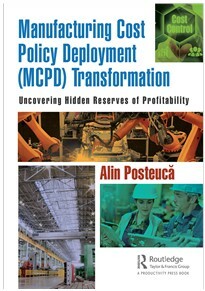 The improvement results are due to successful MDC activity in three years. The cost items share improved 18 to 4% on labor cost, 19% to 52% on profit. What elements are needed for business leaders and practitioners to have a great MDC approach to support the improvement and the improvement culture at the shop floor level?